Inviting others to give to your favourite projects just became easier, now that campaigns are available for your Business and Team Member accounts. Please watch this quick introductory video to find out how it works. How can you use the new Campaign feature? Here are some examples for you (please click on the images). 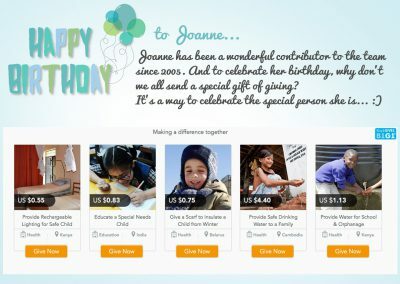 You can set up a special campaign to celebrate your team member’s birthday. You can set up a temporary disaster relief campaign too. 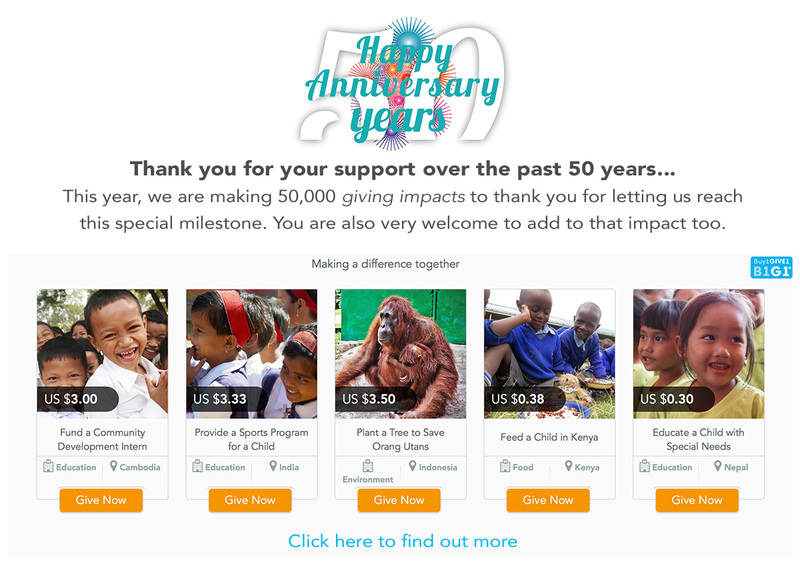 What about inviting your community to celebrate your company’s anniversary through giving? 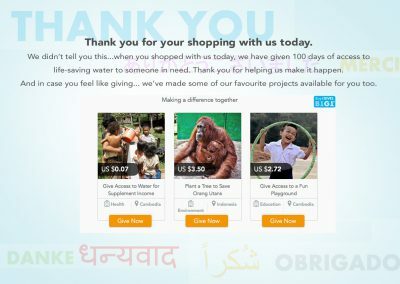 You can add a special giving section on your page that people visit after shopping on your online store. Why you might want to encourage others to give. Study after study finds that giving makes us happier. 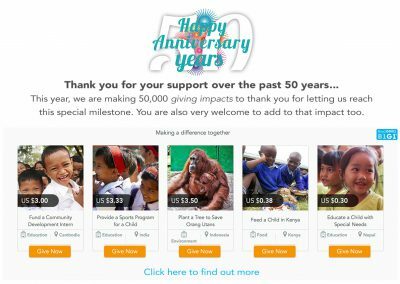 B1G1’s Campaign feature allows you to spread the joy of giving by engaging your network to give to your selected causes, celebrating your special moments and occasions. And this is a fantastic way to show your network how our small giving can create a big impact on the lives of many. And total giving through campaigns gets added to your Leveraged Giving Impacts as well. After completing this quick and simple giving process, people are offered an opportunity to create a free personal account to track their giving. And if they are business owners, they will find out about the business initiative. So, please share and help create a world that’s full of giving!